Whether you’re planning on embarking on the once-in-a-lifetime experience of an Australian working holiday or dreaming of an adventurous trek through the vast expanse of the outback, the allure of the Land Down Under has globetrotters of every stripe adding this vast country to the very top of their travel bucket lists. Australia has a lifetime of experiences to offer every type of traveller, and given how out of the way the country is geographically, most people tend to stay for a while and pack in as much as they can. From the bright lights and booming nightlife of Sydney and Melbourne, to the white sandy beaches of the Whitsunday Islands, a trip to Oz done right can easily feel like you’ve travelled the entire planet. While there’s far too many amazing experiences to be had to properly chronicle here, there’s a few activities you absolutely cannot miss out on. Here’s your comprehensive guide to Australia. If you went to Australia and didn’t spend at least half your time there soaking up the rays on the world-renowned beaches, did you even go to Australia? While this might seem like the most obvious start for anyone compiling their Aussie bucket list, you need to come prepared to make sure you’re experiencing the absolute best of this country’s epic beach scene. If you can only go to one beach out of the 10,685 in the country, then make sure you rack up a blissful weekend in the jaw-dropping Whitsunday Islands, a scenic sprawl of 74 small islands located 560 miles north of Brisbane. Every one of these islands is a gem, and you’ll find a well-equipped tourist ecosystem that will allow you to explore them all, hopping from island to island with ease and affordability. The vast expanse of these emerald-green islands and white sand beaches means that you’ll rarely have to deal with any crowds, and the crystal blue waters offer some of the best diving and surfing experiences of anywhere on Earth. If you’re looking for something a little closer to civilization, then you can’t do much better than the iconic and endlessly-filmed Bondi Beach, which rings the outer suburbs of Sydney. 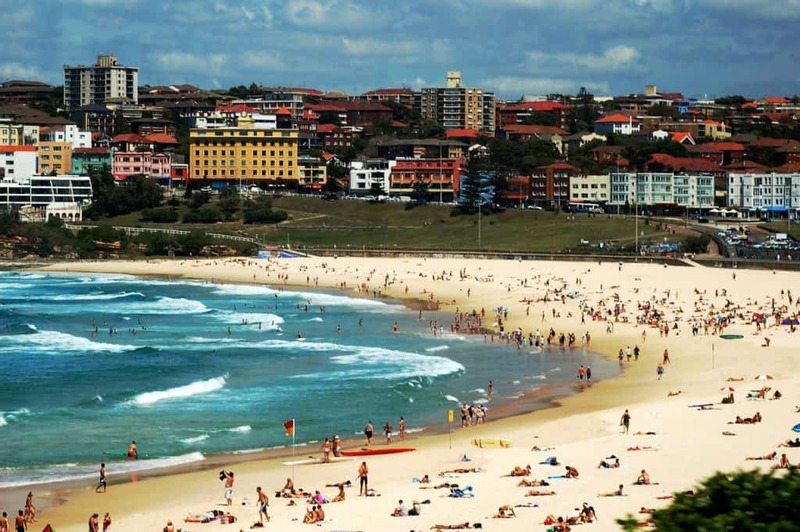 Although this pristine beach has been a tourist hotspot for decades and is something of a national icon, heading there on any given weekday is a surefire way to avoid the worst crowds, and there are few things more quintessentially Australian than sitting down on Bondi, firing up the barbie and cracking open a few cold ones. It’s hard to know where to start with nature experience is Oz, given that this sprawling country has it all; vast deserts, tropical forests, deserted islands, and even snow-capped mountains. For a start, you should do the one thing that has drawn nomads to Australia since time immemorial, and organize an epic odyssey through the Outback. The Outback is the name for the vast desert expanse which covers the entire central landmass of Australia, and is home to kangaroos, lizards, camels, and the sorts of birds and insect you usually see in horror movies. 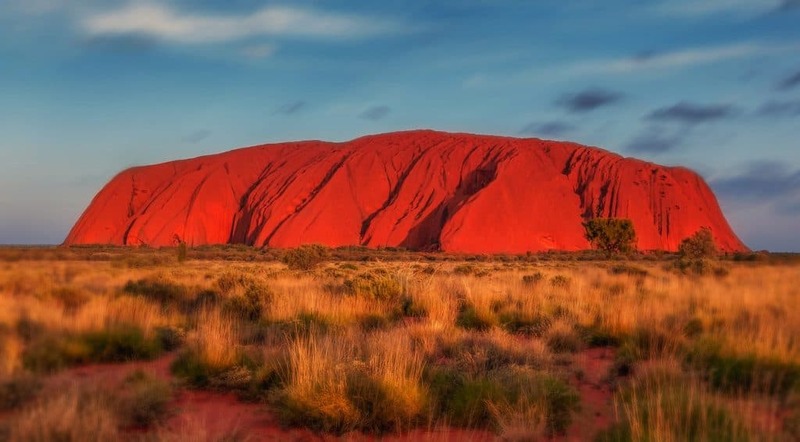 There are literally hundreds of reputable, affordable and unique tour operators providing comprehensive trips through this vast territory, and almost all of them will, of course, include a stop to one of Oz’s most well-known national monuments, the imposing Ayer’s Rock (known these days as Uluru). Although the days of being able to climb the rock are long gone, this unique rock formation has been a spiritual place for thousands of years, and once the sun starts to set and lights the whole thing in a golden glow, it’s not hard to see why. Although for many people the first mention of Australia will conjure up images of empty plains and terrifying wildlife, it’s also home to some of the most exciting and cosmopolitan cities on Earth. 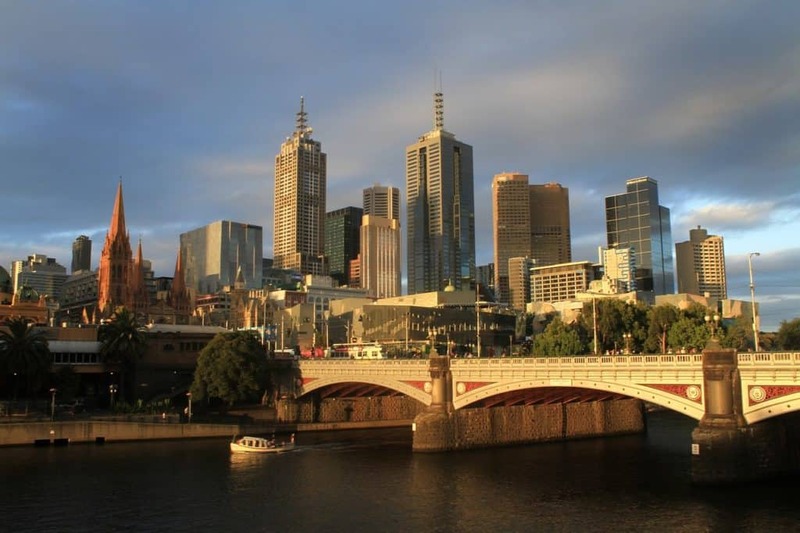 You should, of course, ensure that the global metropolises of Sydney and Melbourne are at the very top of your list, as they both offer a unique kind of energy and youthful optimism that is hard to find anywhere else. There are countless experiences to be had in either of these cities, but if you’re looking to experience the absolute best of Australian culture, there are a few things you should have bookmarked from the get-go. First of all, you should take the opportunity to soak up the stunning and eclectic architecture of these historic cities, including the famed Sydney Opera House, the neo-gothic Flinders Street Railway Station in Melbourne, and the quirky Victoria Mansions which line the affluent inner-city suburbs of both cities. You can hop on to a number of cheap and free architecture tours any day of the week. While you’re in the city, make sure to live like the locals and immerse yourself in one of Australia’s most beloved national past-times, sport, or more specifically, Australian Rugby. No matter what city you’re in, a trip to an NRL (National Rugby League) game is the ideal way to soak up the electric atmosphere and immerse yourself. With games taking place at a number of venues across every major city pretty much every single day, you won’t have to struggle to find a cheap ticket, just make sure to come prepared by checking out your chosen team’s odds at Oddschecker beforehand, as placing a bet is a common way of showing your allegiance and spicing things up a bit. If there’s one thing Australians do better than anyone else in the world, it’s partying, so make sure to steel yourself for some next-level binge drinking while you’re there, as the Aussies have raised this activity to the level of artistry, and approach it with the same level of gusto and passion as they do with national sports. 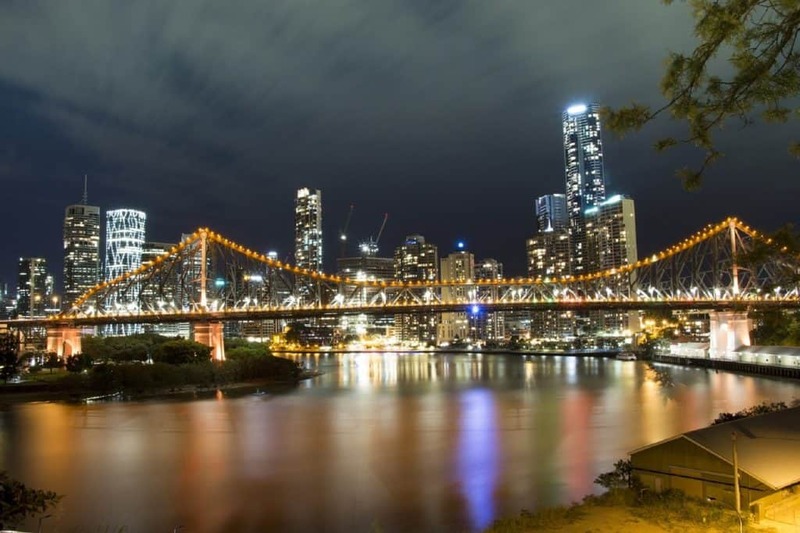 If you’re looking to do all of your quintessentially Australian hedonism in one place, your best option by far is the party capital of Brisbane, often described as the “Jersey Shore of Australia”, with more nightclubs, bars and music venues than anywhere else in the country. If you’re only there for a weekend, do it right and start off with a daytime beach or boat party, which you’re guaranteed to find rammed with beautiful perma-tanned Aussies dancing the afternoon away with a cocktail in hand. Afterwards, prepare for the night in one of the city’s achingly-hip bars, with the hipster Mecca of Paddington being your best bet for a bar crawl to remember (or forget). Afterwards, take your pick from one of the city’s acclaimed nightclubs, and you can safely say you’ve partied like an Aussie! While the highlights of Australia could fill several novels’ worth of pages, if you make sure these things are on your bucket list, you’ll know you’ve made the most of your time in this unforgettable country. Australia is always stunning. It’s one of my favorite places. Loved reading it throughout. I’ve been meaning to visit Melbourne! Great read! Thanks for the post. We took the kids to New Zealand last year (from the US) and it was too much for them. I think we will save that one for when they are a bit older. You definitely whet our appetite, though! For now, we tend to stick to locations in the US or the Caribbean, as it involves less traveling. I can recommend Barbados if you want a family-friendly vacation in the Caribbean. What a nice city !